The augmented reality solution developed by AerinX would also improve precision in plane skin inspection. No aircraft is cleared for take off before safety checks are completed. Among these, aircraft skin inspection takes most of the time. However, even with firm procedures and checklists, human error still occurs during this critical pre-flight phase. And, according to statistics of the international aviation industry, these human errors are the cause of up to 80% of plane accidents. A Hungarian AR company wants to help reduce this number. Their augmented reality solution promises to both speed up and improve the accuracy of aircraft skin inspections. The company AerinX has recently announced a strategic collaboration with one of the largest maintenance, repair and operations companies in the CEE region. Aeroplex of Central Europe Ltd. and AerinX will work together to implement the augmented reality solution in various aircraft maintenance processes. This solution will help repair and maintenance teams perform detailed surface checks on planes faster and with greater precision. Right now, the entire process is manual and relies on the mechanics’ visual accuracy. They use rulers to measure damage and markers to signal the problem area. This process is both slow and unreliable, and AerinX wants to change that. “Our vision is to completely revolutionize the way aircraft skin inspection is carried out at the moment,” said the CEO of AerinX, Antal Bence Kiss. “To achieve this, we are developing a smart inspection system which combines AR technology with modern picture processing, giving a decision-supporting tool in the hands of professionals. AerinX promises to reduce inspection time in case of AOG events, as well as line and heavy maintenance,” he added. 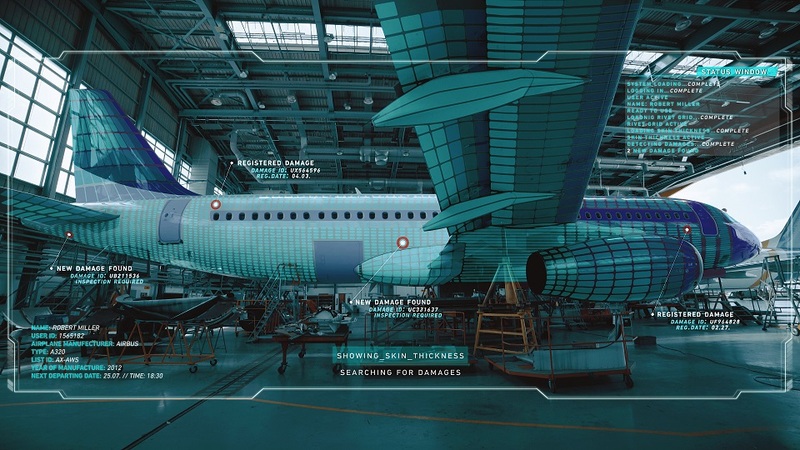 The augmented reality solution created by AerinX would help engineers determine and measure plane skin damage with great precision. They would see the technical details in 3D on the surface of the planes, including the damage history of the respective aircraft. Apart from increased accuracy, the AR solution would also reduce aircraft inspection times. This is very important during AOG (aircraft on ground) emergency situations. This type of inspection usually takes between 90 and 120 minutes. AerinX states that their augmented reality solution will reduce this time to only 20 minutes. 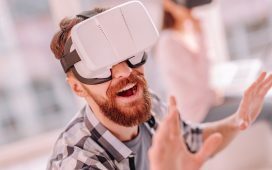 If this proves to be the case, this AR solution would bring many benefits to the aviation industry. Flight operators will save thousands of dollars or euros in maintenance and repair costs. At the same times, there will be fewer delayed flights – another cause of financial and reputation loss for airlines. Right now, the augmented reality solution developed by AerinX is in the prototype phase. The company is raising venture capital funds to continue the development work and prepare the solution for market launch. The AR company plans to introduce their product both into the civil and defence aviation segments.